When I first started barefoot running I had just read "Born to Run". It was an excellent story that inspired me to have the courage to try something new and make my body move in ways that I had forgotten since childhood. I just ditched the shoes and listened to my body. I thought this was enough. It seemed a simple concept and with the help of friends from the Runners World Barefoot Forum I was learning about how my body was meant to move. I learned breathe, to relax, and to take it slow and steady. There is no destination that we will actually reach in regards to the mind. There is always more to learn and the kind of person I strive to be is one that will continue to learn until my proverbial end as a very old running grandma. Combining logic with intuition has made barefoot running incredibly satisfying for me. I have since been successful at barefoot running. I have made personal bests barefoot including a barefoot marathon. I was not injured like I was in shoes however I had plateaued and was no longer inspired to improve. One of the Aha Moments of the VIVOBAREFOOT Coaching Program was the layer of complexity that put logic together with my intuition. I believe that I should listen to my body. It made sense to me that my body would move properly based on its terrain yet it had not occurred to me that I still had old shoe movement habits to work through that keep me from getting faster and going farther. There is often more than one way to do things. 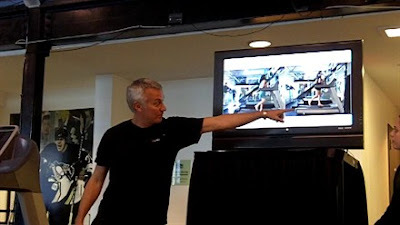 I was invited by VIVOBAREFOOT to participate in the first barefoot running coaching clinic. From 8 until 4 for 5 days we moved and then learned why we move the way we do. Rinse and repeat. Proprioception: Making sense of barefoot running. Proprioception is the body’s awareness of its own motion and position. It’s essential to enjoyable and injury free running and is the secret to optimum performance. Understanding and developing your proprioceptive sense is the first step on the journey towards awakening the skill of natural movement. Lee Saxby was our instructor extraordinaire. Some sass, a British accent, and physics and I was rapt from the start and oh yeah he is a boxing instructor. So this Iowa girl in a big strange city with all new people and yet I felt a familiarity with the information due to my husbands background in boxing, Brazillian JuJitsu, Muay Thai and his phenomenal ability to make sense of great levels of complexity. There was just the right amount of familiarity for me to be able to step so far outside my comfort zone and yet meet many of my other needs in order to learn efficiently. It was a crazy balancing act and so incredibly worth it. Not only was I taken out of my comfort zone in that I had to think really hard and relax really hard (haha) in order to absorb the information but I also learned that what we think we are doing is not in fact always how we are actually moving. We took video footage of us running on the first day of class and I looked nothing like I pictured myself in my head. What I thought I was and then what I saw on the video were very different. I am not alone in this! Everyone was fascinated to see themselves from the outside. We were given small handheld video cameras and we practiced video analysis on each other throughout the week. 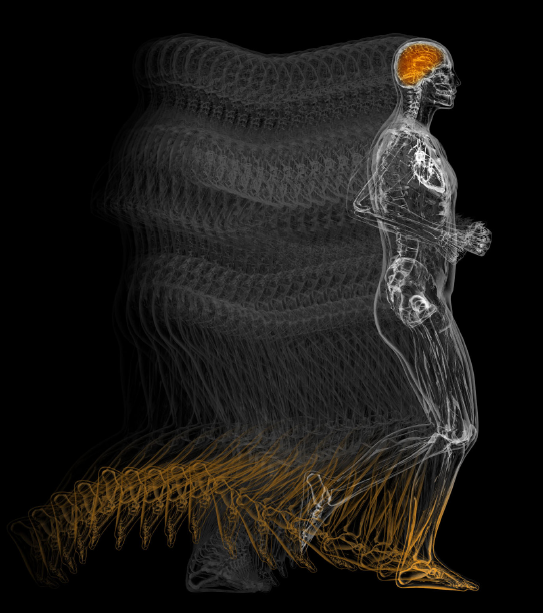 The body's movement part of the brain fires at a much faster rate than the conscious thought part of the brain. If one wants to reprogram the movement part of the brain and hone skills you must trick your brain into learning movements without over thinking them and creating tension in the body. Over thinking is a common problem. We learned drills to address Posture, Rhythm and Relaxation which make up the fundamental aspects of barefoot running. The drills create movement memories to replace the old habits without having to focus super hard and in turn lets you change without stress. Lee working with us on video analysis. My favorite subjects covered was Kinetics and Kinomatics. Kinetics is the study of force and Kinomatics is the study of the shapes the body makes to deal with said force. Fascinating stuff and only a small part of what was covered. Each day we started out doing drills and then we would learn the science behind the movements. Psychology and coaching technique were also covered and then we would move again to further cement in the new information. "Basically, we were taught the biomechanics of human locomotion, how to diagnose inefficient and/or injurious running form, and how to coach correct form using video analysis and drills. I am excited to apply what I learned to not only improve my own form but that of any runner interested in becoming a more efficient and potentially uninjured runner." My life has moved in this running direction. I have four sons and one with autism so running meets a great deal of my needs as a person (Maslow was also covered in class!) Running allows me to relax enough to meet other needs that demand a clear and calm mind. I was not able to run without pain until I read Born to Run and was inspired to give barefoot running a solid shot. I was further able to improve my running skill by taking this course taught by Lee Saxby. What is the connection you ask........Lee coached Christopher McDougall the author of the book that was the catalyst to this barefoot/natural running movement. Serendipitous right!! So the next inevitable stage of my running is to understand and implement why I run the way I do and hone that skill and teach others how to run barefoot. Barefoot Coaching by Angie Bee is up and barefoot running! Check out my new Coaching page here. Wow I would LOVE to do that. The topic never ceases to amaze me as do you Angie. Hey Angie, do you know if Lee is going to do anymore trainings like that one? I sent a message on their website asking (a couple of weeks ago), but never got any reply. I'd love to do one. The kneeling woman on the left appears to be laying an egg.